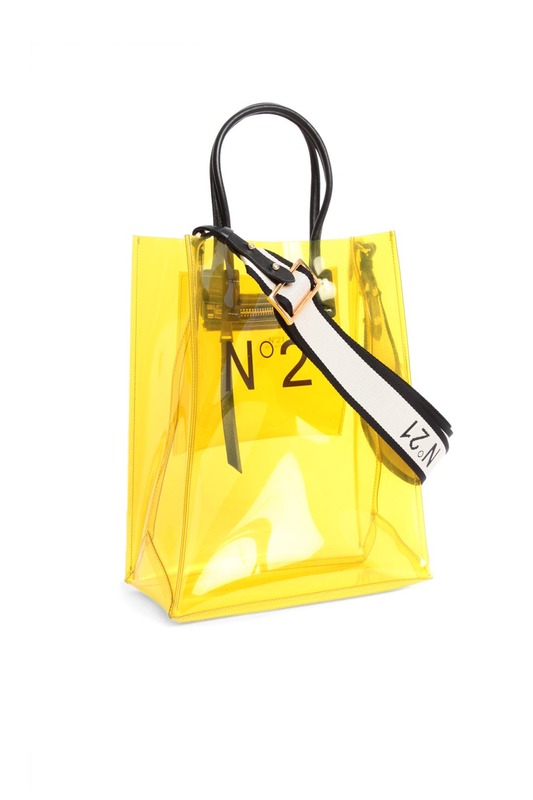 Jump on the trendy transparent bag train with this utilitarian mini shopping bag by No. 21 Handbags. 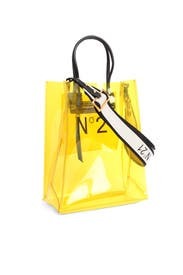 Transparent yellow small tote with "No. 21" logo at front. Top handles and adjustable crossbody strap. 11.4"H x 9"W x 4.7"D.